A full-day mental health escape, to breath, to connect, with epic speakers, 1 on 1 life-coaching, surrounded by nature, together as one. Created by Dan Keeley, one of the UK’s most passionate mental health activists, #AREWEOKUK is the game-changing social enterprise on a mission to empower the UK to speak up when we’re suffering so that together we can show future generations how it’s done. 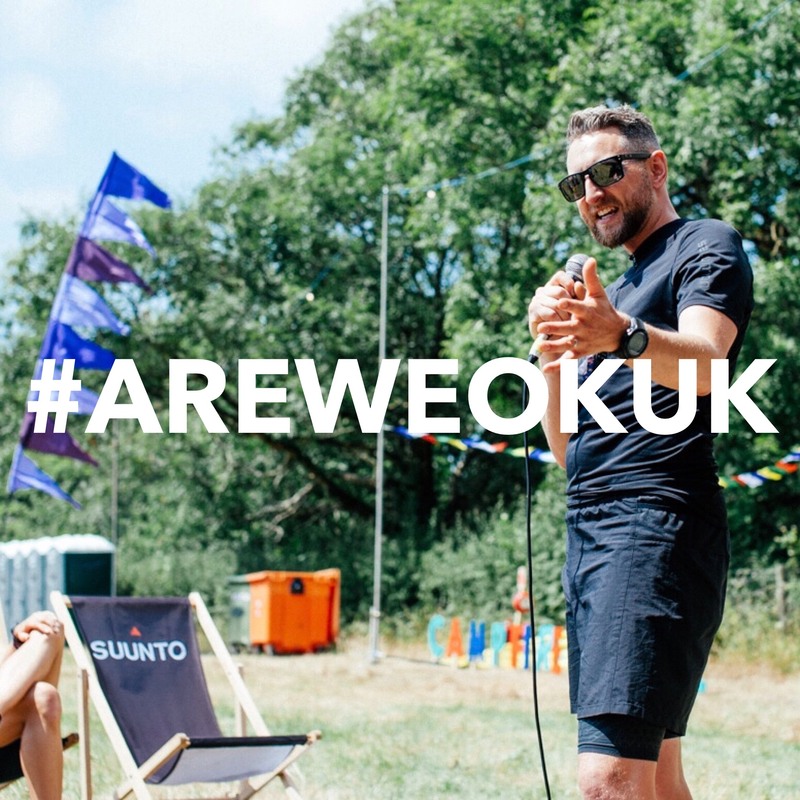 If you’re suffering right now, perhaps just struggling, join Dan and his team for the first official #AREWEOKUK Escapes event at Kingdom (one of Kent’s most stunning venues) for a full-day experience guaranteed to leave you feeling uplifted, inspired and reconnected with a new sense of clarity to move forward in life however you wish to do so. If you’re passionate about the power of speaking up when we’re suffering or giving others the courage, support and safe space to do so for themselves, you’ll be in perfect company—completely detached from the rest of the world, surrounded by nature, together as one. Live talks from 4 of the UK's most dedicated mental health campaigners. 1-on-1 reflective talking session with a professionally trained life-coach. Amazing feel-good food & drinks from Team Kingdom. Bonus mindfulness & breathing sessions. Bonus trail-running and talking loops. New friendships and connections made. Shared passion & purpose from one incredible setting. Relaxed mindfulness & breathing sessions with Alice Rose from Team Kingdom plus trail-running & talking loops with Jess Robson from RunTalkRun. Completely optional, just turn up and get involved! Event officially starts with smoothies, coffees, pastries and live talks from Team Kingdom, Dan and Steph Slack—TED speaker and Mental Health Campaigner. 1-on-1 reflective talking sessions with professionally trained life-coaches plus intimate guided group conversations. Live Talk from Paul McGregor —Author of Man Up Man Down, passionate about empowering men to speak up when we’re suffering. Live talk from Hope Virgo—Author of Stand Tall Little Girl—followed by ‘share your story’, a live panel Q & A and closing talks from Dan and Team Kingdom. The wind-down hour with mocktails, light bites, the official #AREWEOKUK soundtrack, hugs, tears and new friendships made before making the journey home.